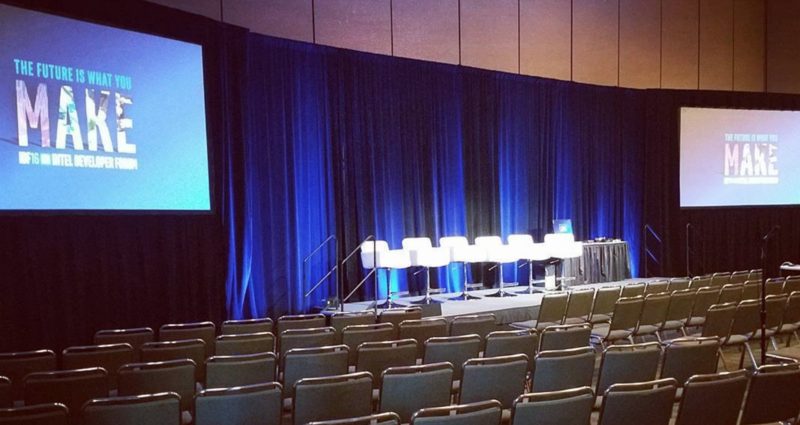 The San Francisco Buzz Workshop focuses on generating a spark for progressive ideas in the current state of game development. Participate in this day long conference filled with insightful speakers, amazing game previews, thought-provoking content, and more — presented by Intel and The MIX! 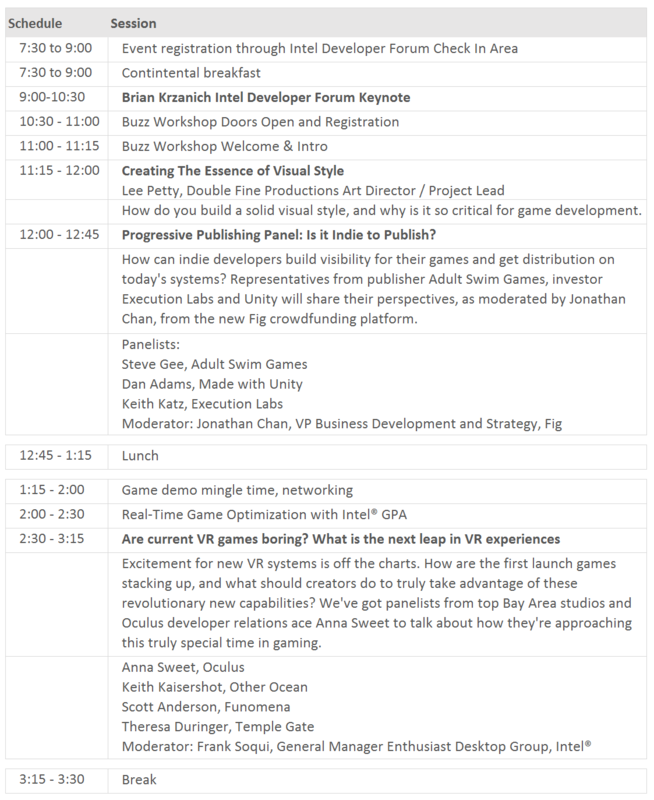 Along with panels and technical sessions from industry veterans, the workshop includes previews from some of the Bay Area’s most creative and innovative indie games along with a full catered lunch, post event happy hour, giveaways, and opportunities to meet and chat with experts in the community. In coordination with the Intel Developer Forum (IDF), attendees get full conference admission to all three IDF days, sessions and Tech Showcase expo area — a tremendous value! Slots are limited – those interested in attending should register early to lock in a spot and take advantage of early bird discounts. Note: 100% of registration proceeds contributed to Child’s Play charity.